I have been searching for a good Twitter client for Windows for a couple of months now. All the Air apps just seem so bloated and the rest are made in .net which also seem to take some time to start. Keeping that in mind I've finally started off with a Twitter client for Windows. Not sure till when I will complete it or if I ever release it. Was playing with Python, C and EzBasic last weekend. After making a prototype in Python finally decided on plain old C. The main goal of making the application is that it should be Win32 native application. Should be less than 500KB. When it runs should not consume insane amount of memory. Just some goals to achieve if I finally continue with the project. Lets see if I can get something working this weekend. If you want to alpha or beta test it leave a comment and I will keep you posted. Its been one month since the launch of fefoo.com. Initially there was hardly any response. Then in the last 2 weeks it was featured on a few blogs in France and Italy and there was a huge inflow of people. That lasted for a week and now things are again cooling down. Initially no one understood the reason for using fefoo. But, once it was on a few famous blogs there were quite a few people who seemed interested and the traffic surged. Thanks to all these people who featured fefoo on their blogs. The list is in no particular order. Introducing fefoo, search made simple! Thank you for your support. In case I missed your blog post please add it in the comments. I saw this image on posted on reddit. Videos of some of the hallucinations given in that image. According to the description the pinocchio illusion did not work for them. From the YouTube video description, "2 minute extract from a documentation of a ganzfeld experiment, conducted as part of a research for the performance project psi: mid space. The sender, receiver and experimenters are in 3 separate rooms, and the target image appears in the fourth section.". 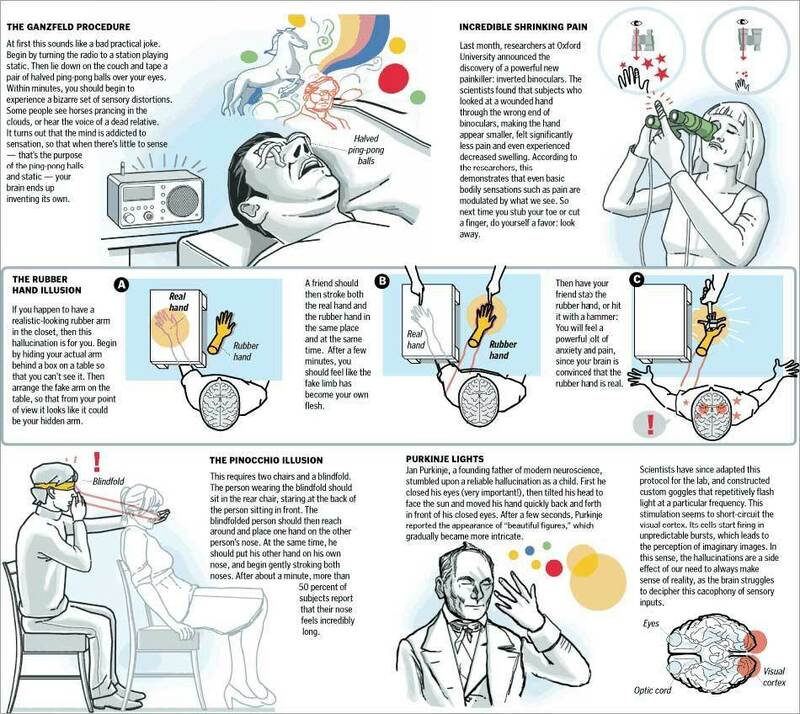 More information about it on http://en.wikipedia.org/wiki/Ganzfeld_experiment. I had spent the last 2 months in Shimla and it was a quite pleasant there, now am back in Panchkula. The last months were relaxing to say the least. I've never really appreciated that place before, but this time I was able to stay home and relax. Its been a week since I arrived and there is hardly anytime when I am not sweating. I've hardly been outside, trying to stay indoors to beat the heat. The monsoons were supposed to arrive a week back but there have only been occasional pre-monsoon showers. A week before I came here I also released fefoo. Though the response has been really cold so far. Guess no one seems to get the concept of commands, plus the help documents are sketchy to say the least. The videos I wanted to make about fefoo have been scrapped. Lets hope I can get some time in the near future and am able to do something about fefoo and get people to use it. As for me I cannot work without it now. The webmasters, tools, movies, twitter, blogs, imdb and music category are the ones I tend to use every other day.